We’ve all been there, made a monthly budget and then not followed through with it. The trouble with all the electronic money that we use now, with credit and debit cards, is that it’s hard to visualise that money leaving your account. It’s even worse now with contactless cards! With just a tap you’re spending money. There’s no longer that moment at the checkout when you have to dig out your card and think, “do I really need this?” Now you don’t even have to get your card out of the holder! That’s why we went scouring the internet for tricks to help, and we found one! It’s called “Envelope Budgeting” and it involves going old school and reverting all of your transactions to cash-in-hand. When you see that money physically leave your hand to pay for something it will be easy to realise how much you’re spending. The first step is to create a budget: Make a list of all the important things you need to spend money on this month. This will probably be things like: rent/mortgage, childcare, transport (car, commute, petrol, MOT etc. ), groceries and what have you. Then work out how much you need for each of these in a month and write it into the list. Congratulations! You’ve made a budget and now you’re going to stick to it. Next, for each item on the list assign it an envelope. This is where the cash for each category will go. Any kind of envelope will do just make sure that you label it accordingly. Just remember to be safe when travelling with large amounts of cash. 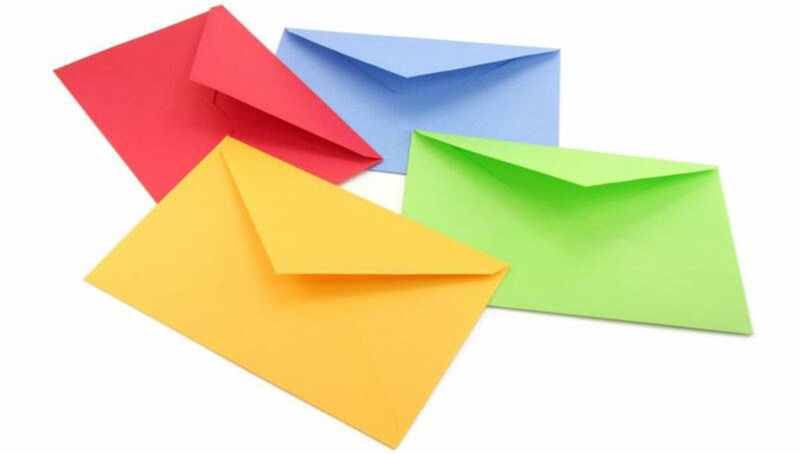 You then need to split up your income into the respective envelopes. Now cash might not work for every payment you need to make. Things like mortgages and rent will be done in one bulk payment so you don’t need all that cash hanging around. Instead a cheque written out and ready to go is the best way to use that envelope. The ones where you’ll need cash is for items that require incremental spending. Mostly this means things like food or car or pets etc. So if you’ve budgeted £400 a month on food then £400 should go in your food envelope. As the month goes on, and you spend money you will then start pulling money from each envelope depending on what you’re spending money on. However it’s when they start to empty that your budgeting skills will come into play. You will find that for some items you will have budgeted too much while for others you may be a little low in funds. You’ll then have a decision to make: either when an envelope is empty it’s done, – no more money can be spent in that category. But for your grocery budget this might not be the best policy! The other option therefore is to use the old trick of “reallocating funds”: all you need to do is pull money from another envelop, just remember that it will leave you with less money in that category. This is a great trick for people that are just getting into budgeting and soon it will be second nature to keep within your plan!